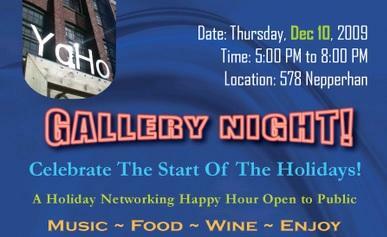 Join us for our 1st Gallery Night networking Happy Hour - in the great Hall of the YOHO Gallery on the 5th floor! GALLERY NIGHT! Be a part of the YOHO Gallery! ** And take part of the Pre-Launch of the new YOHOartists.com website!